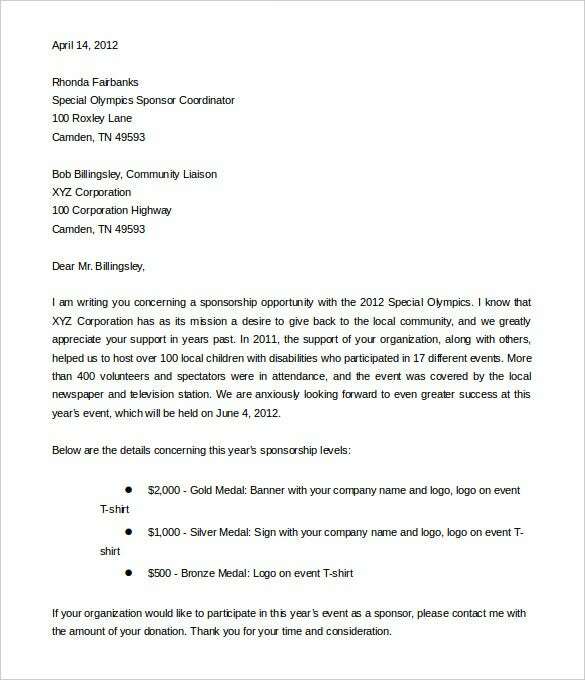 Sponsorship Letter Template – 8+ Free Word, PDF Documents Download! 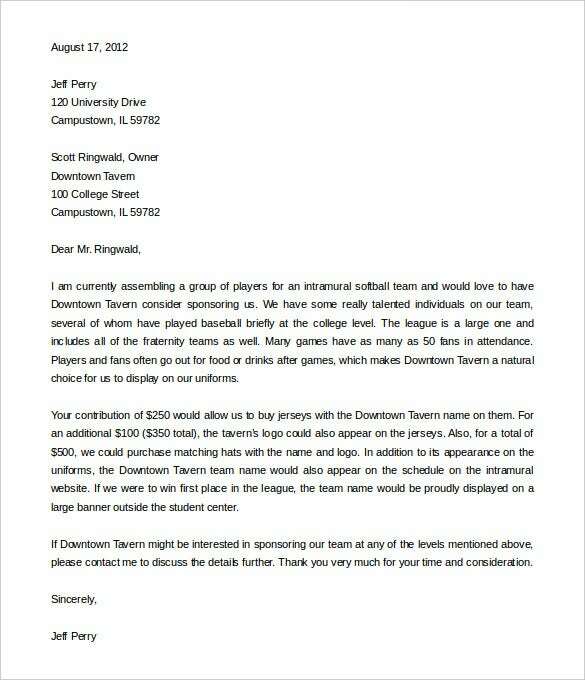 A sponsorship letter template isn’t often as wide as a sponsorship proposal. You must therefore use the legal letter template to be as formal and as accurate as possible. 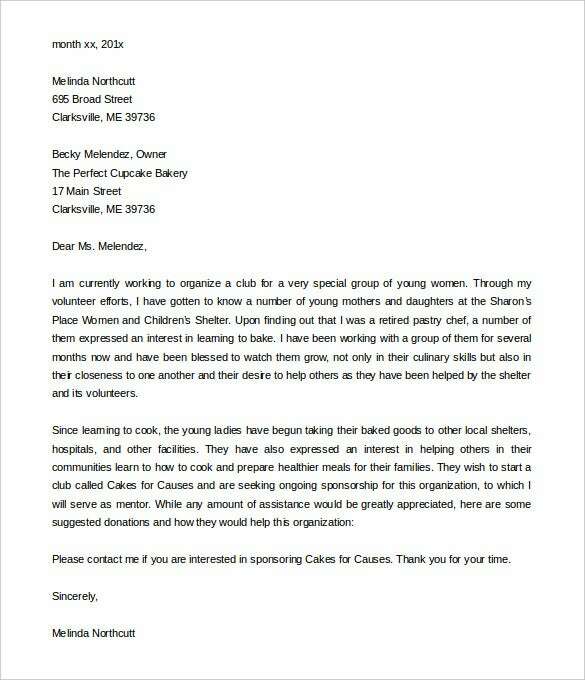 Your letter will excel a getting the sponsorship you want only if it has accurate, legal and genuine information that explains your needs. Although the most common form of sponsorship requested is school sponsorship, it does not mean that other people, like business executives and company startups cannot request for this kind of financial assistant. 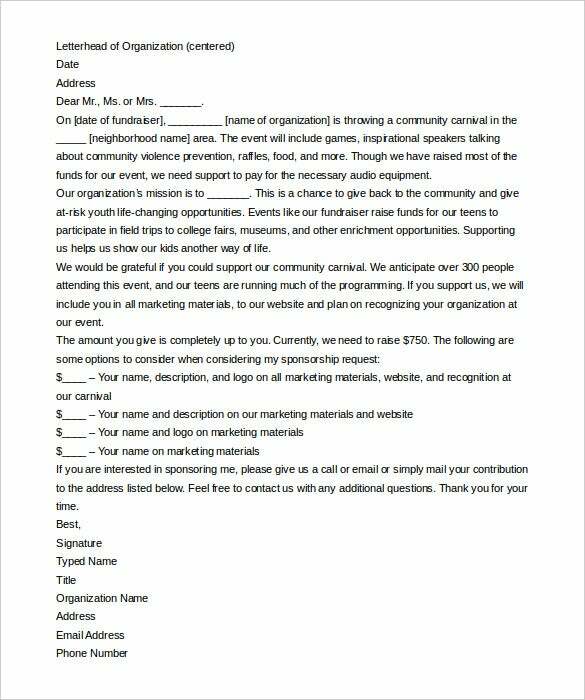 prhelper.com | Sponsorship letter or more specifically, sponsor invitation letters are drafted in such a way so as to invite sponsorship for the events and engagements in organizations. The content of the mail is mainly directed towards building credibility amongst the sponsors and highlighting the advertisement of the brand in the process. 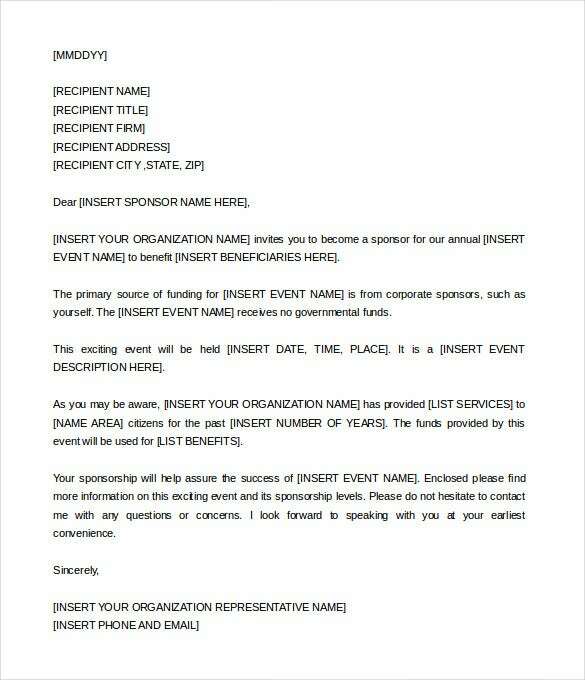 the-fund-raiser.com | Sponsorship letters for events must contain an important aspect in its content – which is the motive of the event and the audience to which it is directed. It is always advisable for users to mention the actual cost centers which would be incurred in the organization of the event which in turn makes the case strong for getting a sponsorship. wikihow.com | Sponsorships letter should not only contain the noble cause of the event or the engagement and aim to rise the social concern in the prospective donor but it also should help them publicize their brand in the event. For example – A banner with the company logo in exchange of a sponsorship could prove to be mutually beneficial. 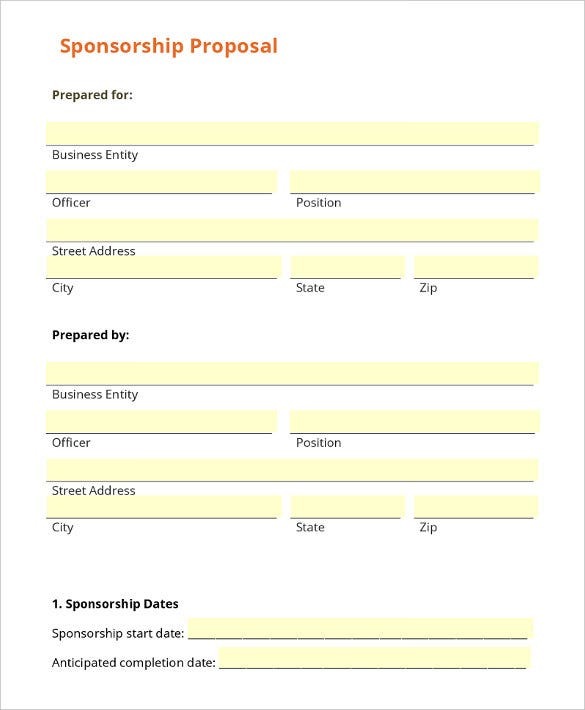 Sponsorship proposals can also be designed in the form of a pre-defined template citing the prospective sponsor to which the request is sent, the organization who needs the sponsorship, the details of the events for which the sponsorship is seek and other clauses if any in the contract. This format helps in maintaining consistency across sponsors. 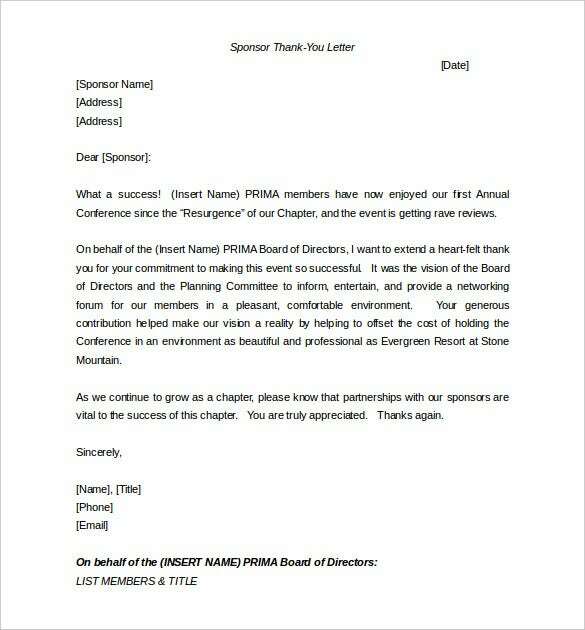 primacentral.org | A thank you letter in exchange of sponsorship, though is not compulsory, but shows a good gesture towards the sponsors who helped in the successful organization of the event. These letters should cite the key contributions of the sponsors and the role it played in the successful operations of the engagement. 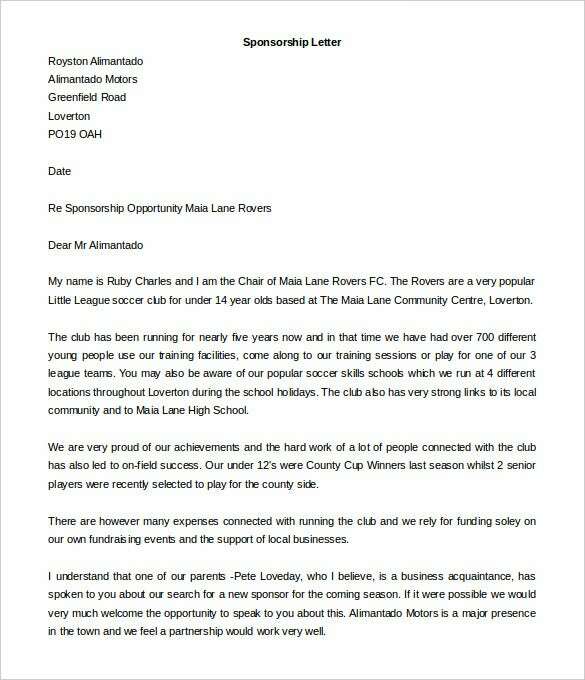 A good letter template will attract a potential sponsor. You must write it carefully, so that it is able to grab the attention of the potential sponsor, and make them want to speak more with you.